I have always been a fan of books that challenge you to better yourself. I like books that will give you insight, perspective, and ultimately encourage you to better facilitate your vision for life. I found all those things within the pages of "Meet the New You" by Elisa Pulliam. The author used scripture throughout her book to back up her methods, solutions, and ideas. The book really challenged me to priority what is important in my life: faith, family, friends, etc. While reading the book, I was encouraged to write notes and take action after each chapter! 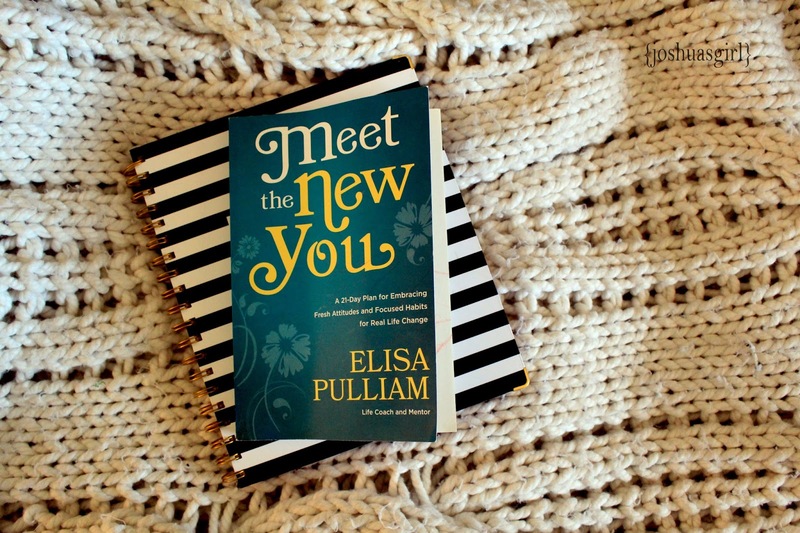 I'm thankful for the opportunity to read "Meet The New You" and plan to put into practice much of what I have learned. I think the most beneficial aspect of the book was learning more about my personality and spiritual gifts. Doing so has challenged me to work on areas of my life that need "pruning" so that I can better serve God, my family, and all those around me. Many thanks to Blogging for Books for allowing me to read this book in exchange for an honest review. All opinions are my own.